Are you a Small Medium Enterprise in the Travel Business , startup medium Size Tourism Agency ? Yes , this article is for You . Nowadays the number of Chinese Free Independent Travelers (FITs) is rising all around the world. The number of FITs is increasing with each year; their behavior and demand is quite different than general one. only 30% of Chinese consumers are willing to travel on package tours on long haul destinations, simply because of language barriers. 70% of the Market are independant Travellers or Semi independant travellers. Young visitors especially millennials tend to travel as FITs nowadays. This willingness is reflected in the opportunity to schedule their trip itineraries without bounding to any other rigid schedules. Today when we start talking about travel and tourism the first idea that comes to our mind is about China. 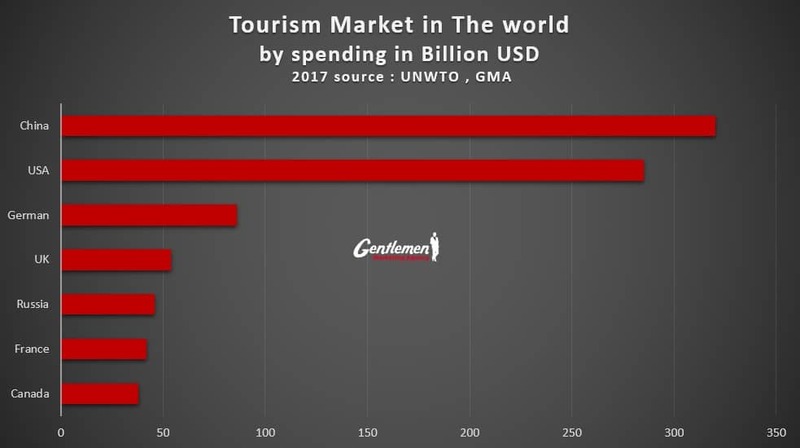 According to The United Nations World Tourism Organization (UNWTO) it was reported that Chinese tourists’ expenditure in 2016 exceeded USD 261 billion (21% of the world’s international tourism spending). The rapid growth rate alone is no longer sufficient to explain the evolution of tourism out of China, which is closely linked to the social changes that the country has experienced over the past decade. By 2016, about 68 million Chinese citizens have traveled abroad and this figure is expected to reach 100 million by 2021. 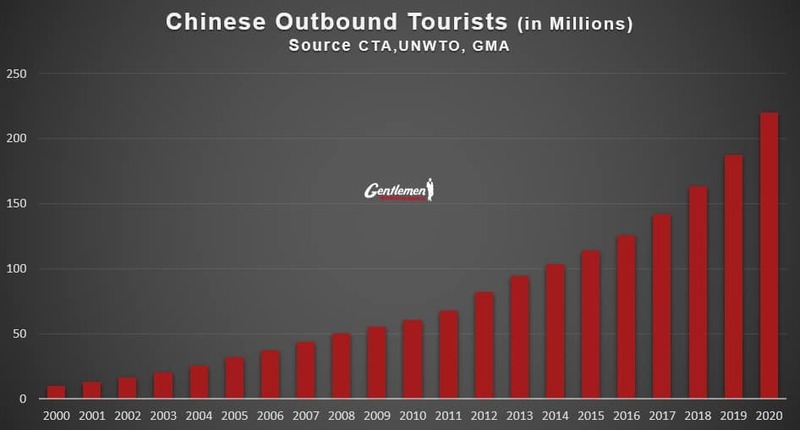 If outgoing Chinese tourism meets these expectations, this would be equivalent to almost 40% of the total market of outbound tourism for the Asia-Pacific region. Independent Travelers are Much Better , Young White Collar and Well educated. FIT are young visitors that are better educated, have comparably better language skills, and they are more affluent. They are under 50 years old and may be married even having children. In addition, FITs tend to be confident experienced travelers, which are willing to experience and enrich their knowledge of a different culture, in this sense they are heavy travel researchers and planners, so they are willing to find flexible travel options. In most of the cases, FITs have already gained some travel experience outside of Asia. 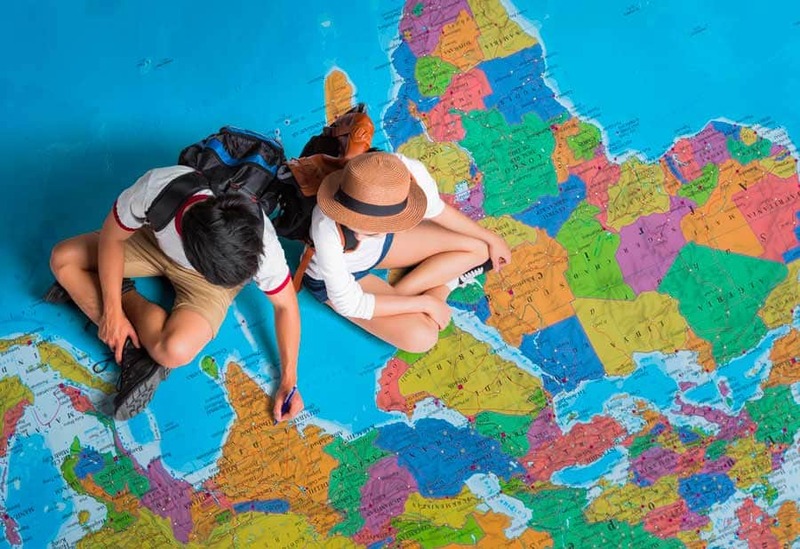 Furthermore, they are internet savvy and use lots of online resources and platforms such as travel review sites, destination websites, and social media accounts, including WeChat which also have the tool to plan their itineraries. Chinese tourists became a gold mine for many big companies Lafayette, Louis Vuitton, Dior , Gucci…. But it was not for Small and Medium Companies. It is new opportunities for Smart and ambitious Companies. One of the favorite destinations for FITs is Europe, North America and Oceania. However, the attractive fact about FITs is that they have an aspiring willingness to discover new countries and different cultures all around the world. Chinese independent travelers want to relax and enjoy the comfort while visiting great natural attractions and World Famous Sights. Similarly, there is also a reduction in group travel for individual travel, as Chinese tourists are more in search of adventures and unique experiences. Fortunately, Chinese FITs particularly represent a great opportunity for smaller tourism businesses. Moreover, it can be a great first step to enter the booming Chinese market. Today lots of tourist companies that started from the scratch has already benefited. It all sounds incredibly inspiring, but the crucial question is how to find Chinese FITs and how to attract them? With the rise of Chinese tourists traveling abroad every year, more and more tourism professionals are struggling to find out how to attract Chinese independent wealthy tourists. HOW TO ATTRACT THESE CHINESE FREE INDEPENDENT TOURISTS? Generally, Chinese tourists do not book flights or hotels on any platform. Indeed, the Chinese are quite special. To access to this market, it is important to advertise on the channels that the Chinese use. Sound stupid but actually you are a SME and you need a Chinese website, because people will check who you are and what you do. Why Nice ? Because if it is ugly, these Free independent travelers will never choose you. Why Invest ? Because Chinese Search Engine leader Baidu (Google has been kick out of China) is not Free. You need to increase the SEO , to get higher Rank on Baidu. Let take a Simple Example, you are a travel Agency in Srilanka… and you want to target Chinese tourists. If you rank on the first page of Baidu on keywords Sri lanka, you will get leads, and Business. SEO is the number Source of Business for SME in Tourism Business. One of the short term strategies to reach the Chinese travelers is advertising through Baidu. 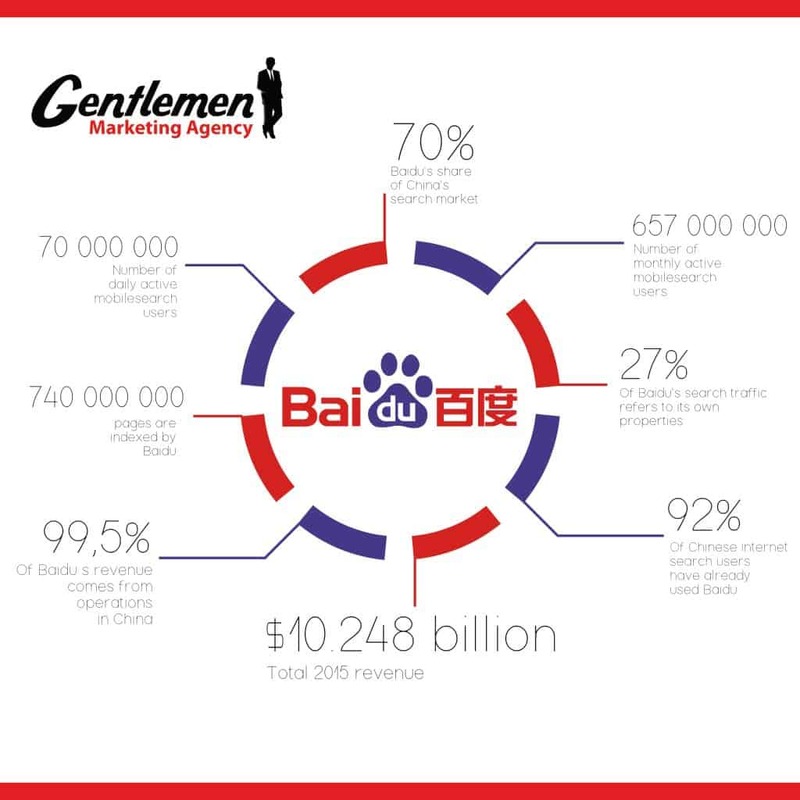 Among these search engines, we have Baidu, which is by far the most powerful leader in the Chinese search engine market, with more than 80% market share. There are several other search engines equally powerful, but none is comparable to Baidu. Optimizing your website through Baidu’s SEO strategy can be very beneficial in increasing the reach of your business in the Chinese market. Just like Google, Baidu offers a wide variety of advertising options for businesses. However, advertising on Baidu requires that companies drown in a ton of administrative paperwork, which is incredibly difficult for non-Chinese companies. Baidu needs a large amount of information, in order to stay in line with the Chinese government regulations. Do not worry, we can care about everything. Independent Travelers have to plan their trip… So they need to Search and Usually they like to Take idea on Chinese Independent Forums. One of the best ways to find out what Chinese people are really looking for is to go to Chinese travel forums. For instance, such travel forums as Mafengwo (马蜂窝) and Qyer (穷游) are dominating online travel picture nowadays. These platforms allow Chinese millennial share their low of new experiences. Mafenqwo has launched the website and now has more than 100 million users. They go through the latest travel information, glance at Q&As and reviews, as well as book hotels, travel destinations and local tours. In addition, Mafengwo is offering an e-commerce platform for potential tourists. 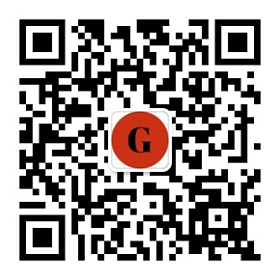 When not comes to Qyer, it is a Digital Bible for Chinese Backpackers. Qyer accumulates useful tips on the platform and became more and more popular in China. Within four years, Qyer had gained more domestic than oversea users. 80% of Bookings in China are Online. ONLINE TRAVEL AGENCIES (OTA) are Great place to be visible. As mentioned above, the Chinese tourists do not use the usual travel sites. The main online travel agencies (OTA) in China are CTrip and Qunar. This market is clearly very competitive, the two biggest competitors in recent years have been Qunar and Ctrip, each controlling a market share of 30-40% by 2015. However, by 2015, these two giants have agreed to exchange parts and collaborate. Now, they control almost 80% of the OTA market. Advertising and registration of hotels and other properties on these sites are incredibly difficult for SME. That ‘s why Tourism companies need help of Companies like us that have the right Connexion. Since Ctrip and Qunar are China’s largest travel agency and has listings in hotspots that are popular with Chinese tourists. Therefore, advertising space on these websites is limited, and large hotels and tourist services make access difficult for small businesses. That is why travel agencies use other digital media. Luxury Travel Agency Aiguemarine Paris, which is today the Leader in targeting the Chinese Superior-class customer in Europe. + advanced strategies that we do not want to explain here. Website content, promotions and articles should be created with a target audience in mind. Chinese tourists do not necessarily like the same things as Western tourists. It is important to always make sure your Chinese website advertises things that they like. In addition, when it comes to localization, being able to communicate in Chinese will be more beneficial for you and will put the tourist in confidence because the latter will feel understood in his language. Give your Chinese customers a reason to go home and tell their friends how great their experience has been with your business. This will pay off in the long run. While most companies adopt a multichannel marketing strategy, they ignore the China’s most exclusive channels. 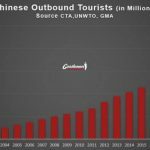 That is a serious mistake, given the fact that the number of outbound Chinese tourists increases dramatically each year. Therefore, in order to attract Chinese customers, it is crucial to use the various Chinese channels as a tourist marketing strategy. One of the most important aspects of social network marketing is the fact that you can interact with other Chinese users. By responding to user comments and messages, you can create lasting relationships with potential customers. 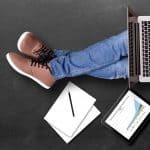 Simply establish your company’s page on Chinese social media platforms and engage with a few customers can ultimately seriously improve your company’s brand image. The marketing of social networks has become the marketing strategy most coveted by many companies in the tourism industry. A social network is more personal, and encourages sharing and propaganda by word of mouth. In addition, travel companies have begun to optimize their websites and services to promote access via smartphones, as a study has shown that a significant number of Chinese tourists use their smartphones to book and organize flights, Hotels. 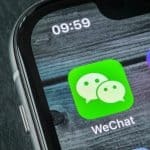 If you want you can be successful without downlaod WeChat in China ? 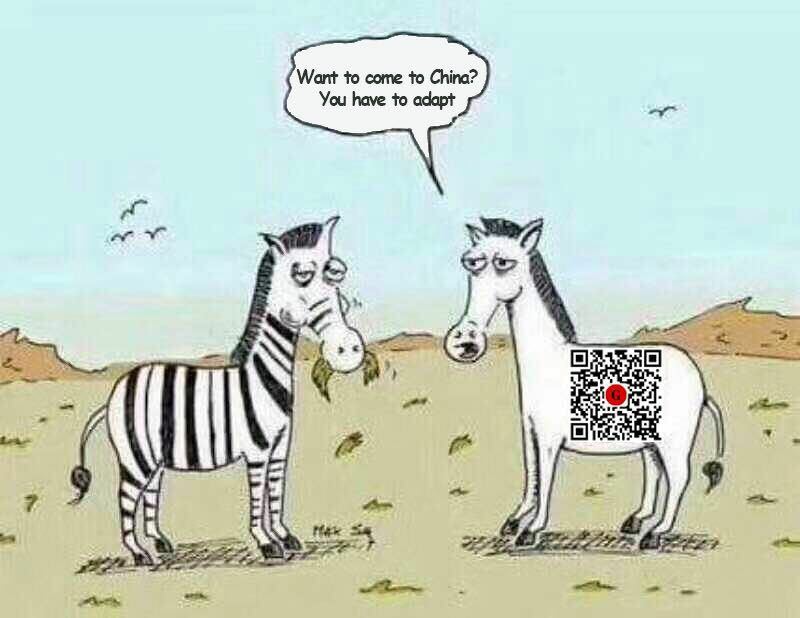 In our Agency, we will not accept to have a skype or a Phone call with you, we only Deal via WeChat . One of the most common marketing strategies these days in China is the use of social media. Indeed, advertising on the various Chinese social media platforms is very effective. Among these major platforms, we have WeChat, which is now the platform by excellence of many companies. With around 889 million registered users in December 2016, Wechat has become a powerful tool for businesses around the world. It is widely used especially among Chinese youth, who are most likely to travel. As a second popular platform in China, we also note Weibo. It is also very powerful for sharing images and content with a wider audience. Although it cannot match the Wechat user base, it still registered nearly 260 million active users in 2016. Chinese tourists often look for information on these social media platforms before to make decisions about travel. The first is the Chinese New Year. During the Chinese New Year, most people in China go home to celebrate with their families, but more and more choose to travel instead. The second festival is the national holiday. If one counts both domestic and international travel, then nearly 600 million Chinese were on vacation during this period the last annex. HOW SMART AGENCY CAN HELP YOU TO GET CHINESE CLIENTS ? 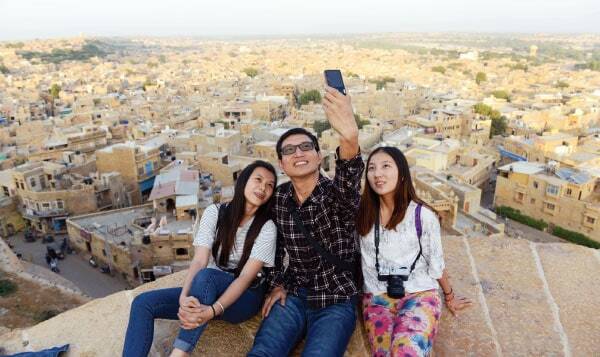 The process of attracting and capturing Chinese’s tourist and converting them into customers is unique, fragmented and dynamic in China social media landscape. The Chinese’s tourists want to see rich and authentic content before giving their consent or interest. In China, tourism agencies willing to attract Chinese should, first of all, understand the culture of the Chinese and adapt their services to Chinese’s tourists. They are more and more sophisticated; they love the quality and luxury service. 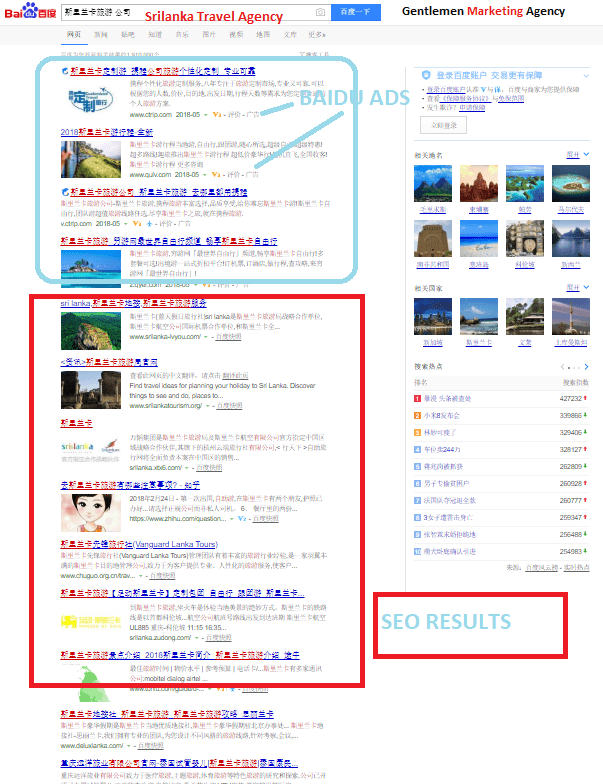 SEO on Baidu, leads to more exposure and traffic. Our teams optimize your website and the content to deliver SEO results on Baidu. This is the largest Chinese search engine with 70% of the market. The process is different in China, different skills and techniques are required when compared to western search engines like Google. Smart SEO strategy focuses not only on improving the ranking of your website but also creating quality content for potential customers. 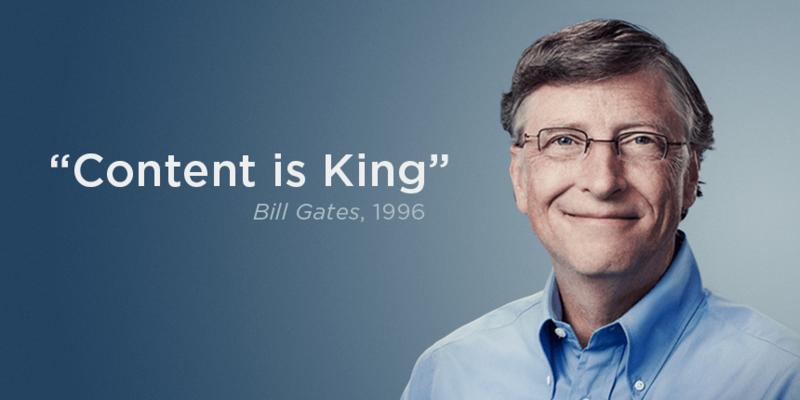 Companies that understand this will have a competitive advantage because they will build up a better online image and reputation. This not only improves visibility, but also leads to the Chinese having a strong level of trust in your company, this leads to results. The internet is full of many story-tellings and news that affects brands in one way or the other. The Chinese’s tourists are looking for agencies that have a good image and more visibility; they often create social buzz and forums to gauge the reputation of brands. A tourism agencies that want to keep the Chinese as active tourist has to promote its image on the right online portals to engage Chinese interest. Social media platforms like Weibo, Wechat, Little Red Book, Sina can be used by press campaign marketers to utilize Chinese bloggers, key opinion leaders, banner displays and influencers. Known as KOL (Key Opinion Leader), the KOL has become a powerful tool for marketing in China. Many KOLs command thousands of followers on Chinese social media platforms. They will share your messages with their fans and write articles about your company. Chinese customers tend to trust the opinions of these KOLs more. – To educate and explain digital works in China and demonstrate how well we know our industry. MARKETING TO CHINESE TOURISTS HOW WE CAN HELP YOU WE KNOW HOW TO MAKE IT WORK FOR YOUR COMPANY IN CHINA. WE ARE DEVELOPING TOURISM PROJECTS IN CHINA EVERY DAY. Jumpstarting social conversations for the best brands in China. Increase your WeChat fans and Weibo followers using our high-quality social media campaigns and strategies in China. Adaptable to any budget, and get amazing results starting from Zero. 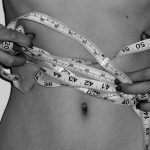 Ask a tailor-made Quotation with Results estimation. With the rise of Chinese tourists traveling abroad every year, more and more tourism professionals are struggling to find out how to attract Chinese tourists. Contact me to Get your Successful Business expanditure in China and get a cost Effective Strategy. 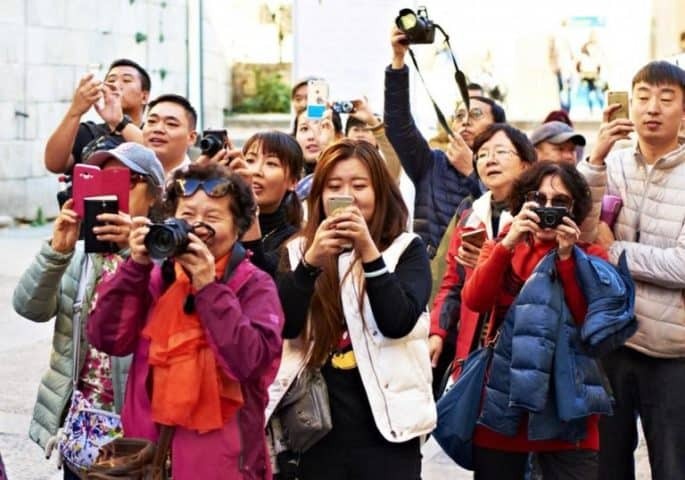 Chinese Tourists : What They Really Want?